A fantastic gift to send to any office. 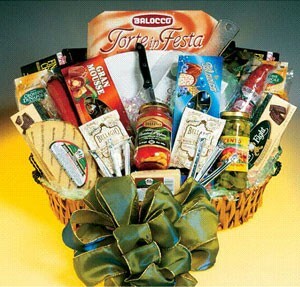 This basket is filled with the finest products such as Asti, Belgioioso, Cento, Baci, and Ferrara. Antipasto items like olives, cheeses, meats, breadsticks with cookies and chocolates awaits you.